When Bounce Management is activated and a user sends an email to an invalid email address, the email bounces back to Salesforce and the user is prevented from sending email to that address until it is validated. A bounce warning appears next to the email address in lead, contact, and person account record. How to find how many users are following a topic in Salesforce? From EntitySubscription sObject, we can find the number of followers for a specific record. In case of topic, we have to enter the id of the topic record in the Parent Id to filter. 1. Find the folder where data loader is installed. 2. Make sure JAVA JDK and JRE are installed into the same Program Files location. "Insufficient User Permissions" "You have not been designated as a Marketing Cloud Connector user. Please contact your system administrator." If you get "Insufficient User Permissions" "You have not been designated as a Marketing Cloud Connector user. Please contact your system administrator." 1. Enable Marketing Cloud for AppExchange User check box for the Marketing Cloud user. 2. Enable Marketing Cloud for AppExchange Admin User check box for the Marketing Cloud user. 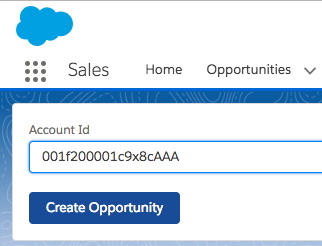 How to get record id from lighting:recordForm in Salesforce? How to run SOSL in Developer Console? 1. Open Developer Console and select Query Editor tab. 2. Enter the SOSL and click Query. How to get domain URL using apex in Salesforce? Use getOrgDomainUrl() in orgs with or without My Domain to retrieve canonical URLs. For example: https://yourDomain.my.salesforce.com, or, for orgs without My Domain enabled https://yourInstance.salesforce.com. 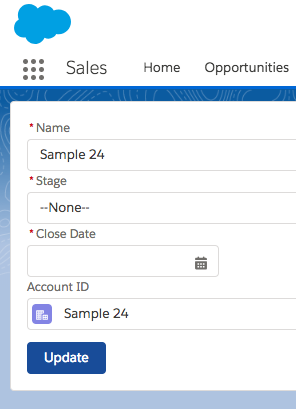 How to generate mock data for testing data load for Salesforce? 2. Click Add Another Field to add additional columns. 3. Click Download Data button to download the data. 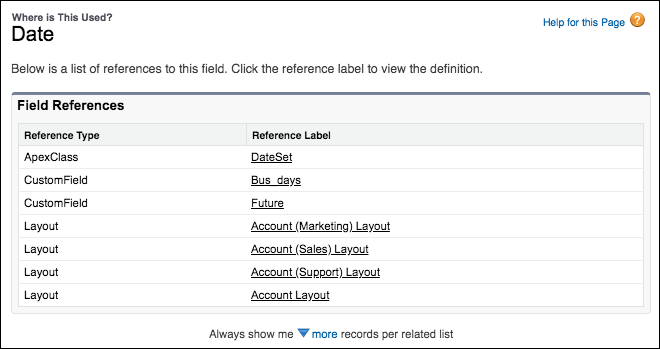 How to refer Custom Metadata Types in Advanced Formula Fields in Salesforce? Create a custom metadata type, and reference its records in an advanced formula field. Store parameters for your formula in custom metadata types. If you need to make a change, you can do so in your custom metadata type instead of changing multiple, hard-coded formulas. How to search for Records in the Kanban View in Salesforce? Enter a search term in the search box to see matching records. How to get Kanban View for Recently Viewed Lists in Salesforce? Users can switch to the Kanban view from the Recently Viewed list view of almost any object starting from Winter '19 release. How to filter by Task Subject in Global Search Results in Salesforce? On the search results page, click Tasks in the sidebar, and then refine the results with your filter. You can’t choose “Call” from a dropdown list; type it instead. For information on enabling this feature, contact Salesforce. How to Save Your Chatter Posts as Drafts in Salesforce? As you type a new post, Chatter saves your work to the My Drafts tab. Add files, links, images, mentions, hashtags, and any other rich text, because Salesforce saves it all. You can select My Drafts and see the saved chatter posts. How to Track the Platform Integration User in Salesforce? Many internal Salesforce applications now automatically run their business processes as the Platform Integration User. Some records show as being created, last modified, or owned by this user. Using the Platform Integration User is an expected part of how Salesforce maintains an org, much like the Automated Process user. The Platform Integration User is traceable in the debug logs. 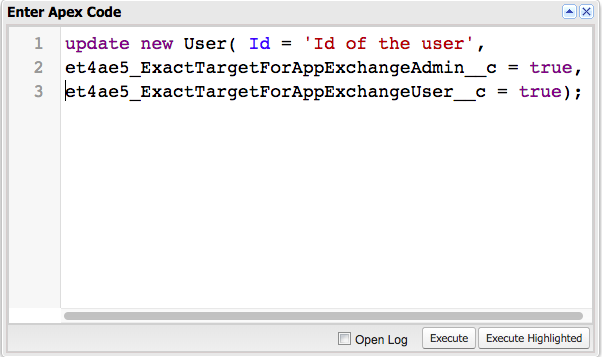 To track the Platform Integration User in the debug logs, create a user trace flag, and select Platform Integration from the Traced Entity Type dropdown list. A trace flag is now set on the Platform Integration User. 1. Add Number or Currency field to the Search Filter Fields. 2. Search a keyword and select the object. Min and Max text boxes will allow us to search within the range. How to track why Users Are Switching Back to Salesforce Classic? Discover why your users aren’t adopting Lightning Experience by going to the source. A form prompts your users for feedback when they switch back to Salesforce Classic. Use the responses to educate users about productivity features and fine-tune your org customizations. 1. Go to Onboarding & Assistance. 2. Enable Switch to Salesforce Classic User Feedback form. 3. Select the Chatter Group where the Feedback Form value will be posted. Click Activate button to activate it. Have a list view with an amazing set of filters that you’d love to share with your team? Or maybe you have a list view that you only want a select few to access. Take collaboration to the next level by sharing your list views with user groups in your org. 2. Select "Share list view with groups of users". Sometimes your Lightning Experience session is interrupted, whether you’ve been inactive too long or you lost your connection. You used to see the same timeout message, regardless of how your session ended. Now the message that pops up is specific to your scenario and tells you how to recover unsaved text. Where: This change applies to Lightning Experience and the Salesforce app in all editions. Why: If your session is interrupted, return to the page to copy unsaved text, like a Chatter post, so you don’t lose it during a new session. How to sign up for Salesforce Winter '19 Pre-Release org? 2. Enter all the information and click Start Free Trial button. 3. You will receive an email with credentials. How to find metadata difference between two Saleforce orgs before the deployment? 1. Go to clickdeploy.io and sign in with your developer edition or production login. 2. Go to Organizations and click Add Organization to add source and target organizations. 3. Go to Deployments and click New Deployment. 4. Add the components to find the difference. 1. You can’t use long text area, multi-select picklist, Description fields, system fields like Last Activity, cross-object formula fields, and lookup fields in the field column of roll-up summary filters. How to Set field values on lightning:recordEditForm ? How to get record id in lightning:recordEditForm?